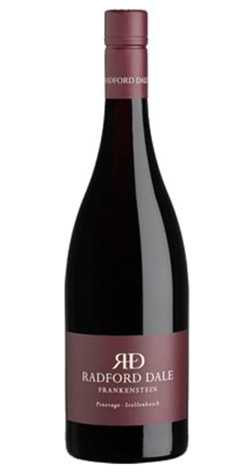 Made like a Pinot Noir with whole-bunch fermentation, this is a perfumed, delicate, refreshing style with bright acidity and a core of red fruit sweetness. A monster it is not. The inspiration for this wine came from a stubborn belief that Pinotage today has its place among more established varieties. It can produce wines of intrigue and complexity -without becoming harsh, chemical or showing any of the other cruel features that its detractors have reason to name. Treat it meanly and Pinotage will show its angry side. Through its clarity and purity of fruit, it’s lithe texture and its absence of any kind of aggression. It is not a monster; it is a soul with a heart and one which will repay kindness with an abundant generosity of its own. The old bush vines that grow this individualistic Pinotage are rooted in unusual white clay at the foot of the Helderberg Mountain. Unirrigated, these vines plunge their roots deep into the earth in search of moisture to sustain the ripening of grapes into the long dry summers of the Cape. In 2014 this vineyard turned 24 years old and as such the crop is small, but wonderfully concentrated which allows for the early picking. The winter that preceded the 2014 harvest was not very cold, but extremely wet resulting in rather an uneven budding and lots of vigor during the growing season. Careful canopy management was employed to ensure that grapes ripened under the best possible conditions. Cool evenings in the lead up to harvest time meant great acidity and balance in the wine. The grapes were hand-picked into small, 20kg lug-boxes and then kept under refrigerated conditions until the next day when the grapes were hand sorted. A large percentage of bunches were destemmed but not crushed so that about 50% of berries were transferred to the wooden fermenters were still whole. This meant that during the fermentation a partial carbonic fermentation took place which helped to enhance the pure fruited nature of the wine while ensuring a limited extraction of tannins. The wine was then lightly basket pressed and transferred by gravity to barrel for maturation. A particular focus during the vinification of this wine was to employ the most gentle, most traditional of techniques from harvesting to bottling. We specialize in the mountainous viticultural sub-regions of the Helderberg area in Stellenbosch,Elgin, and the Perderberg area in the Swartland. This is a fancy way of saying that we work with grapes from all of these areas – the right grapes for the right wines (rather than growing all the fruit on our property). That’s one of the reasons were different.